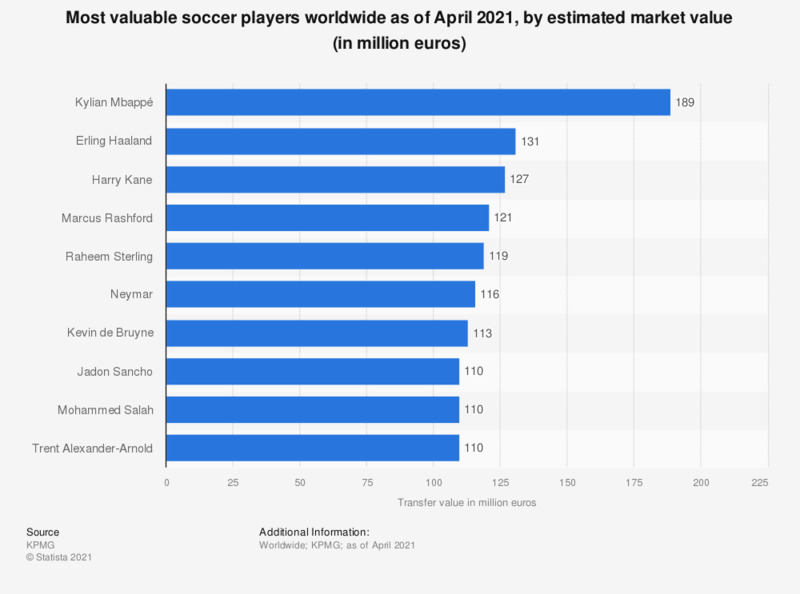 This graph depicts soccer players by estimated transfer value worldwide as of June 2018. According to the source, Harry Kane of Tottenham Hotspur was the highest-rated player worldwide as of June 2018, with an estimated transfer value of 201.2 million euros. Further information about the methodology can be found here.